Eid Mubarak everyone! I hope this festival brings in loads of joy and happiness to you and your family. 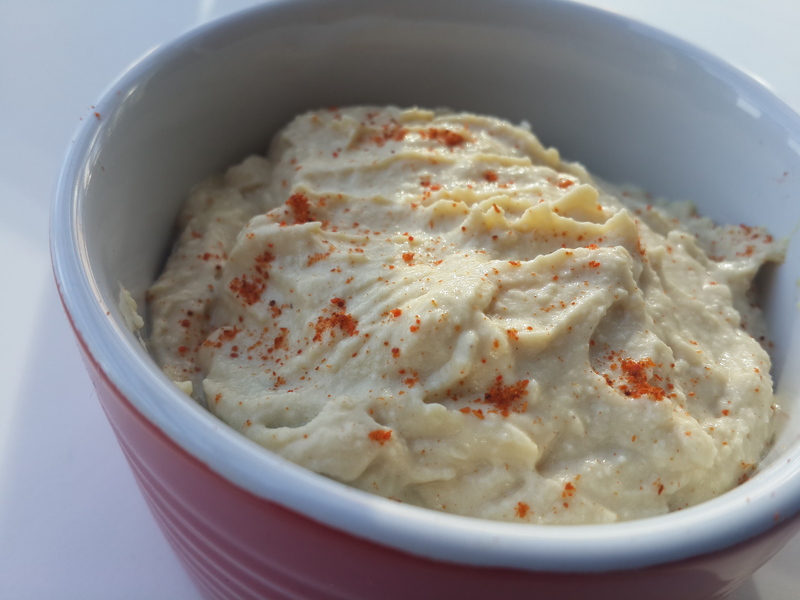 I’m sharing a recipe of hummus as I make at my place. Hummus is a popular Arabic dip perfect to be served with pita bread (khuboos) or just as a side for any appetizers. Homemade hummus is much more healthier and cheaper than it’s canned counterparts. Easy to make and stores well for 3-4 days in an airtight container or a mason jar. Sometimes when I have the time and determination to indulge in batch cooking over weekends, instead of using canned chickpeas I go for the freshly cooked chickpeas. It’s pretty simple! 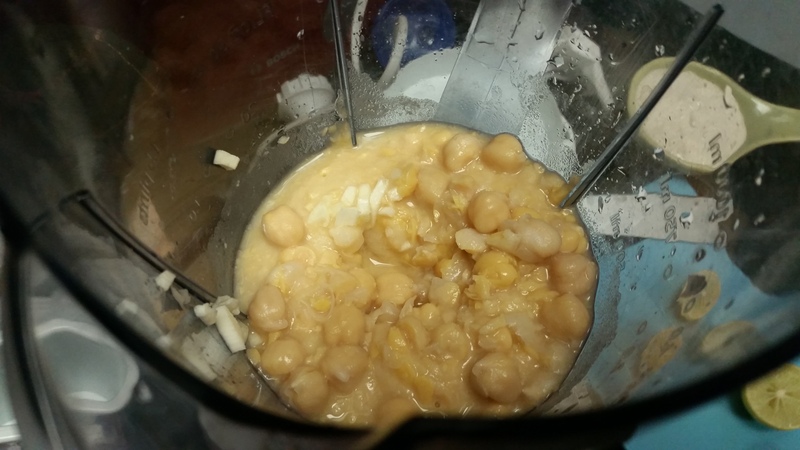 Soak chickpeas overnight and pressure cook them in salted water, drain the chickpeas and then make fresh hummus. Preserve the liquid in which the chickpeas are cooked and substitute the same with plain water as indicated in the recipe. It tastes fantastic and really makes a difference. Hummus is my go to snack to carry for work. I eat this with baby carrots, cucumber sticks or just crackers. It is rich in protein, folic acid, Vitamin C and iron. Better than a pack of salty crisps any day! I also substitute peanut butter with hummus for days when I feel too much PBJ sandwiches did no one any good! Why add Tahini Paste to this ? Read here! 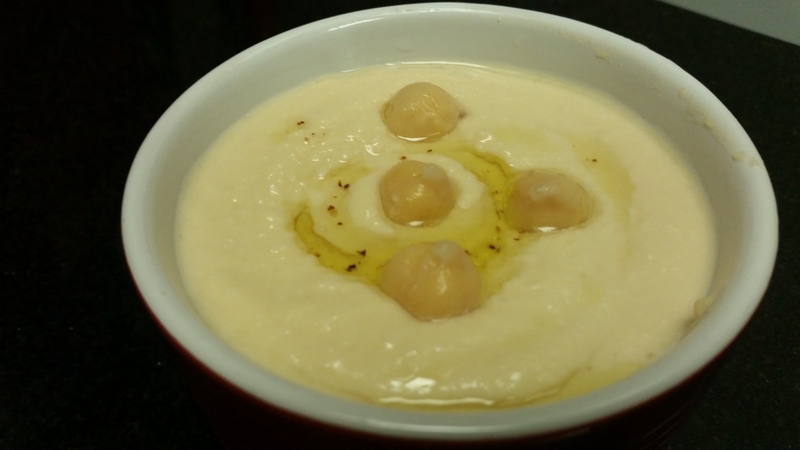 Puree the chickpeas with garlic, add little water to facilitate a smooth texture. Add tahini paste and the remaining ingredients. Keep adding water and olive oil a little at a time. Once the texture is smooth and velvety, remove in a bowl or store well. This versatile recipe can be altered to your own liking. Garnish with olive oil and add Za’atar powder, sumac powder, cumin powder or just paprika to spice up.